Automatic Mercedes-Benz E 350 with 17 inch wheels, parking sensor rear, air conditioning, white on the outside, black interior. This is a black sedan with brown inside and airbags (front and side), front wheel drive and 19″ wheels. Imported spec 2018 Mercedes-Benz featuring parking sensor rear, keyless go, parking sensor front. Black with black interior. 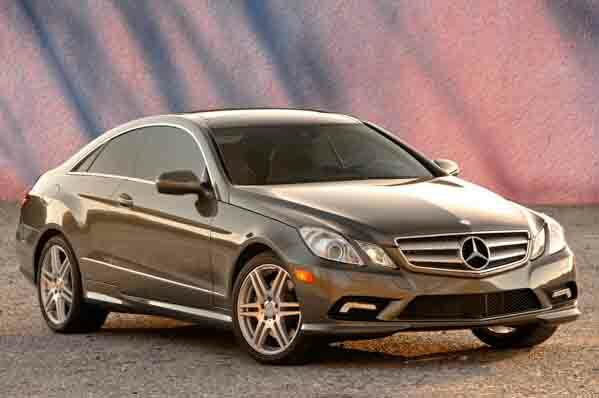 Imported spec 2012 Mercedes-Benz with Keyless go, 17″ wheels and CD player. Price reduced! Mercedes-Benz E 400 with many features, including tuner/radio, front camera, USB. Grey/Silver with tan interior. Automatic, 16 inch wheels, climate control, lane departure alert, black interior, white exterior. Price: AED 52,000. Imported spec, black 8 cylinder sedan with black interior. It has tuner/radio and xenon headlights. GCC spec Mercedes-Benz E 300, brown sedan with beige interior. It features bluetooth system, 17 inch wheels and tuner/radio. 2008 Mercedes-Benz with leather seats, cruise control, power seats with memory. Gold with other color interior. GCC spec Mercedes-Benz E 200 with ABS, 19″ wheels and Power locks. Price reduced! Automatic 2017 Mercedes-Benz E 63 AMG with 19 inch wheels, front camera, sport exhaust , brown interior, white exterior. Automatic 2008 Mercedes-Benz E 350 with 18 inch wheels, cooled rear seats, power locks, grey interior, white exterior. 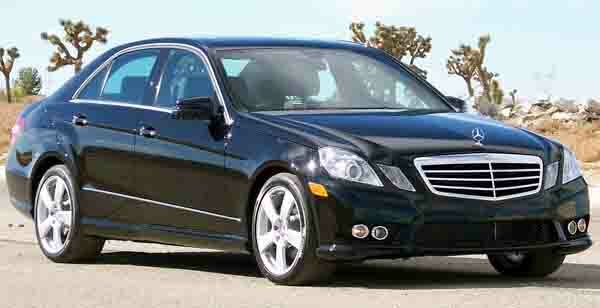 2008 Mercedes-Benz E 350 black sedan, black on the inside with rear camera and heated seats. 18″ wheels. Automatic Imported spec Mercedes-Benz E 350 with 18 inch wheels, rear camera, AUX audio in, black interior, grey/silver exterior. 8 cylinder black 2013 sedan. Black interior. Panoramic roof, 19 inch wheels and sunroof. GCC spec E 350 from 2018 for AED 283,500 with a 4 cylinder engine. Black sedan with tan interior. It has power locks and CD player. 4 cylinder blue 2019 sedan. Tan interior. Navigation system, 17 inch wheels and CD player. 2017 Mercedes-Benz with hydraulic doors, rear wheel drive, cruise control. White with tan interior. GCC spec E 200 from 2012 with a 4 cylinder engine. Black convertible with red interior. It has ABS and CD player. GCC spec E 300 from 2012 with a 4 cylinder engine. Black convertible with red interior. It has ABS and power windows. Black sedan with beige inside. It has CD player and airbags (front and side) and has 19 inch wheels. Opportunity! A 2008 black Mercedes-Benz E 350 Import From Japan Very Good Condition now available at a reduced price. Mercedes-Benz E 350 with many features, including power locks, leather seats, climate control. Grey/Silver with black interior. 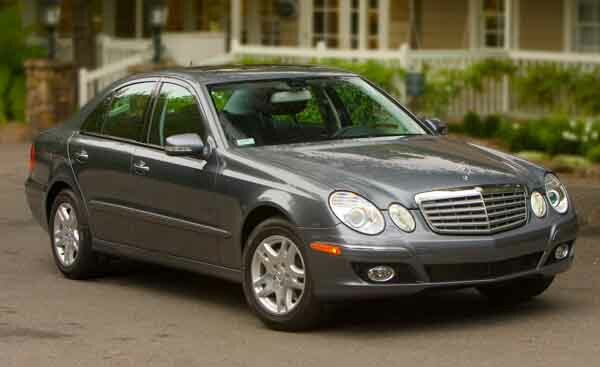 Charlie - Bought a pre-owned E 300 sedan, excellent car and had the perfect balance of power and luxury, the rear seats are some comfortable I wish I had a driver to drive me around! Pros: Powerful engine and options. Nabeel - Buy a convertible E series and you won’t regret it. Fantastic cars, lots of space for a four seater and plenty of options regarding safety and entertainment. Highly recommend anyone buy one. Pros: Spacious, options and power. Cons: High price in higher trims. Thomas - I got my second hand E63 AMG for a good price from a seller in Dubai. Perfect condition and the power to comfort ratio is just right. Loads of safety features and when I put it in sports mode it sounds great! Pros: Engine, comfort and tech. Cons: Sport mode could be sportier. With so many body types to choose from including a coupe, convertible and sedan there’s something for everybody to choose from. Even though petrol is still cheap here in the UAE, E-Class models are equipped with a multitude of engines ranging from an inline-4, V6 and V8. 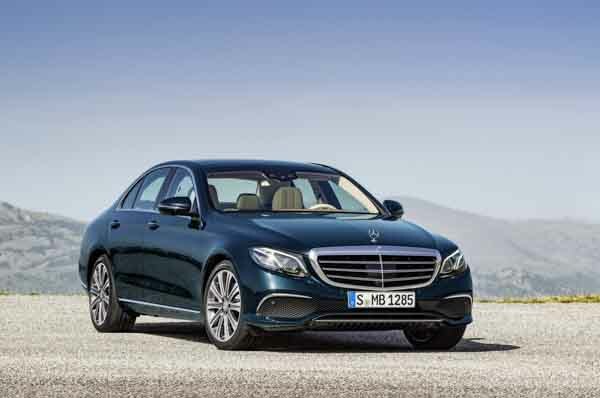 Finding a buyer is very easy as the like any Mercedes-Benz, the E-Class holds excellent resale value. There are loads of standard and additional options available throughout the entire E-Class range. They are more reliable than the C-Class and S-Class. 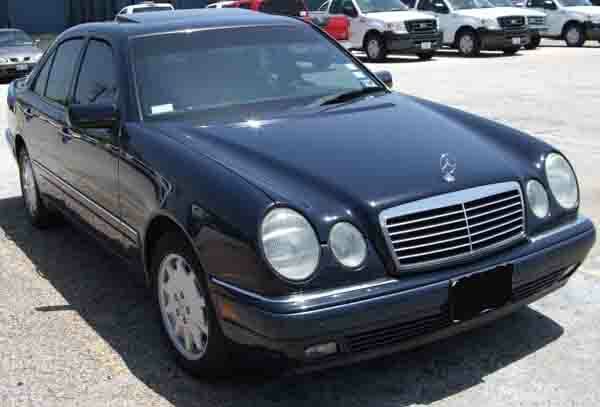 As with the C-Class models, the E-Class was introduced in 1993 as well. Taking over from a combination of previous models, these are the mid-level cars, slotting in between S and C. They offered the best of both worlds, luxury and power. E-Class models were also the most reliable of the three receiving many awards over the years and beating many of its rivals including the BMW 5-series, Lexus GS Series and Jaguar XF. 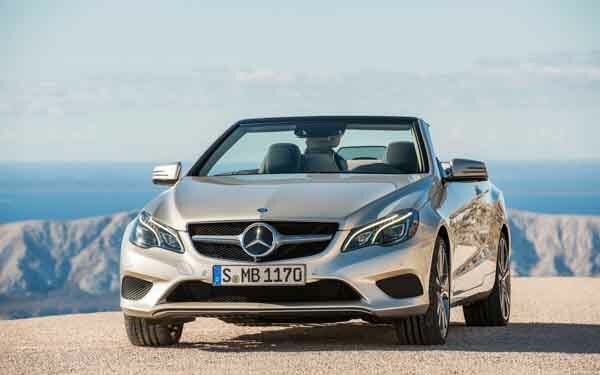 Forming into its second generation, E-Class models steered away from their boxy shapes and created a more refined form at least upfront. Cloth interior and basic power accessories are standard whereas sunroof, leather upholstery, power seats, cruise control and navigation are extras. 1998 saw the introduction of the E55 AMG model which housed a V8 5.4-litre petrol engine. Standard options included leather, cruise control, sunroof and powered accessories. These are rare cars, and if you find one, it’s most certainly an import from the States. 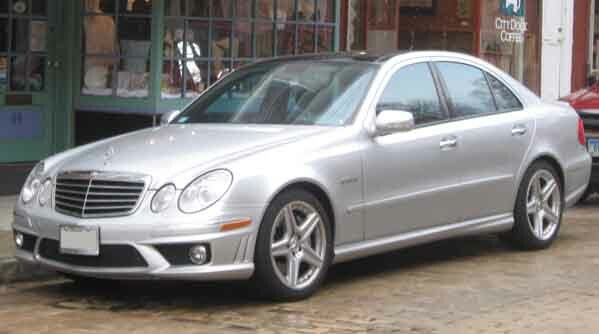 Other Export vehicles included the E50 AMG, E60 and E36 AMG. 1999 models were given a slightly different front end and included mechanical and quality enhancements too. A variety of engines were offered in this generation such as the inline four and five cylinder motors as well as the V8’s and for the first time, a V6 driving force. Five-speed automatic gearboxes are standard with five and six-speed manual boxes being made available later on. E 320 models were powered by a V6 or I6. Prices start at AED 9,000 for a 1997 model. In its third generation, the boxy shape was further ironed out leaving a sleeker body design even if it was still mildly square looking at the rear. New headlights and front grille are attached at the front end. The interior is altered too. With similar standard and extra options as the previous generation same new safety features came as extras such as parking sensors and a rear view camera. Only the inline five-cylinder motor is unavailable in petrol form with the I4, V6 and V8 models made available during this time with changes made to their outputs to increase fuel efficiency. Engines are hooked up to either a 5-speed or a 7-speed manual. 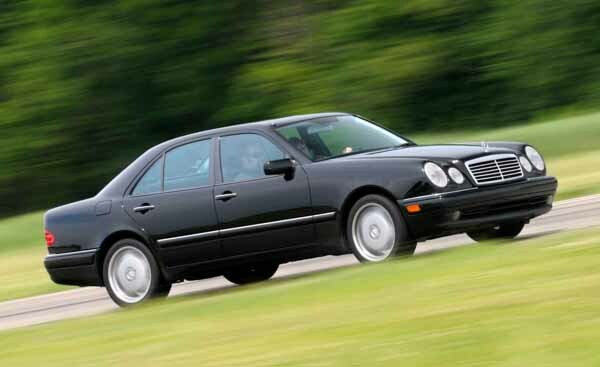 Introduced in these years, was the E 240 with a 2.6-litre V6 and E 280 with a 3-litre V6. The E 430 returned as well. 2007 models were slightly upgraded with a raised grille and had Pre-Safe as a standard feature while Sensotronic Brake Control was removed. Also, 2007 saw the introduction of the high-performance E63 AMG models, equipped with a V8 6.2-litre petrol motor capable of producing 507 horsepower. It combined luxury and power all in one place and came with leather seats, sunroof, cruise control, navigation, Bluetooth options, memory seats, spoiler, xenon headlights and can even be equipped with a moonroof and ventilated seats. Prices start from AED 20,000 for a 2004 model. Entering it’s fourth generation, a much more angular approach was taken regarding bodywork to give the vehicle a more desirable appearance. A new front end inclusive of headlights, grille and bumper, were attached as well as a reworked rear end. Inside is more or less the same as the previous generation. Standard features include fabric seats with power, cruise control, Bluetooth options, sunroof and front airbags. Optional extras include leather seats, adaptive cruise control, HID headlights. Memory seats and ventilated seats. In 2014, E-Class models received an overhaul. Distinct new headlights, front grille and bumper give the vehicle a more aggressive look. The interior is spruced up as well; 12-inch monitors appear in higher trim levels as does a moonroof, high-end sound system, active parking assist and rear entertainment package. From 2010 to 2014, coupe and convertible body types are available. Sporting a similar exterior to sedan models, it rides on a slightly shorter wheelbase and sticks up at the rear end. Options list remains the same throughout its tenure. A handful of models and engines are available in this generation including; E 200 and E 250 with a 1.8-litre petrol motor, E 300 with a 3-litre V6 motors, E 350 and E 400 with a 2.5-litre V6 and E 500 (E 550) with either a 5.5 litre or 4.7-litre V8 motor. Then at the very top is the E63 AMG and S variant with a 5.5-litre V8 petrol engine. Power is sent to either the rear wheels or all four wheels via a multitude of automatic and manual transmissions. Prices start at AED 28,000 for a 2010 model. Now entering its fifth generation, Mercedes revised the entire vehicle to fall in line with other models that roll off the production line. 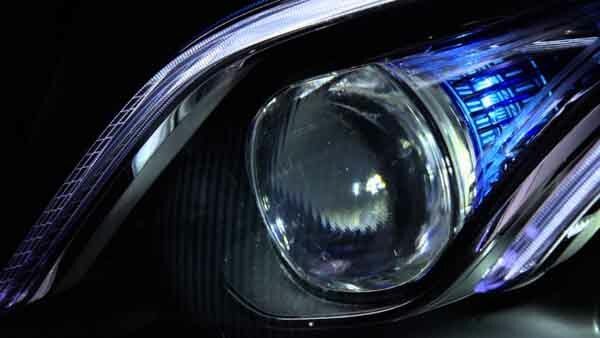 Moulded around the 2014 revisions, 2017 models add brand new headlights which incorporate Adaptive LED Matrix Lighting. The new technology is far superior regarding tech and safety standards. The interior remains similar to that found in 2014 and above models, navigation, cruise control, Bluetooth control, powered seats and keyless entry come as standard whereas a moonroof, ventilated seats, and sports package all come as optional extras. Models in this generation are available in sedan, wagon and convertible form. 2017 E-Class models are equipped with autonomous driving features, with the help of cameras, radars and sensors, semi-autonomous driving is available in certain regions. When enabled, the vehicle can function by itself at straight line speeds of up to 209 km/h! It can also navigate its way through corners at a maximum speed of around 130 km/h. The vehicle can also adjust speed automatically if speed limits are ignored. Developed alongside is a smartphone app called Remote Parking Pilot, offering drivers the ability to park their car from outside of the vehicle. Another app acts as a digital key, using Near Field Communications (NFC), the car can be unlocked and locked from the phone even when the battery is dead. Six models are available in 2017 models; E 200 and E 300 equipped with a 2-litre four cylinder motor, E 400 and E 43 AMG both powered by a 3-litre V6 motor and E 63 AMG and S variant driven by a V8 4-litre petrol engine. Power in all models is sent via a 9-speed automatic transmission to either the rear wheels or all four of them. No price available as the model hasn’t launched yet.